Let's address the elephant in the living room. Ocean's Twelve was...regrettable. One Topher Grace cameo aside, the movie was a disaster, putting the franchise on shaky ground. 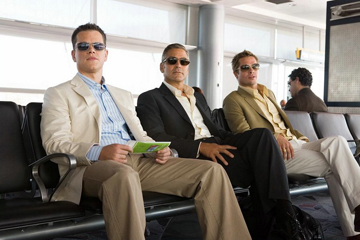 Fortunately, Ocean's Thirteen more than redeemed its predecessor by proving itself to be a sleek, worthy successor to the brilliant Ocean's Eleven. It was one of the best movies of 2007. How Well Do You Know It?